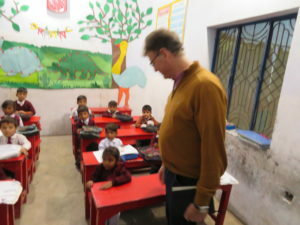 Home News Thank you to our clients for helping AE Tuition build a better future for children everywhere! Thank you to our clients for helping AE Tuition build a better future for children everywhere! For almost 30 years and 20 years respectively , AE Tuition and AE Publications have had one mission; to make sure every child has the chance to reach their full potential, regardless of their background. 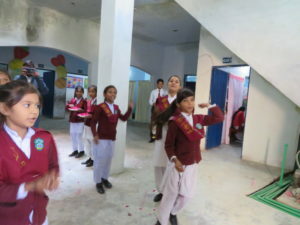 Our commitment is not just to children in the UK, but also to those in less-developed countries, so that all can gain a strong foundation of learning. 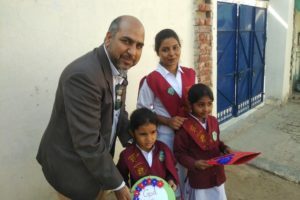 The founder of AE Tuition and AE Publications, Dr Stephen Curran, has been working with many charities across the world to improve children’s education and general welfare. 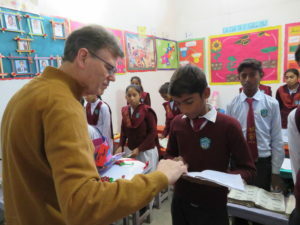 Dr Stephen Curran works with charities such as Asha in India, Starfish Asia in Pakistan and orphanages in Kenya and Tanzania, giving funding to schools and villages to provide education and improve the children’s living conditions. 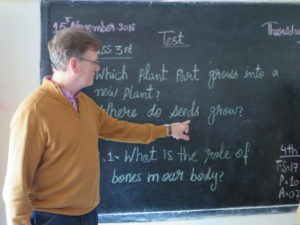 For every tuition course booked at AE Tuition and every book purchased from AE Publications’ website, a contribution is made to help fund schools in less-developed countries, to give children a strong foundation for their future. This means that every one of our customers is helping to make a true difference, not just to their own child’s life, but children all over the world. We say a huge thank you to all our clients for helping Dr Curran fund these life-changing projects for so many children. 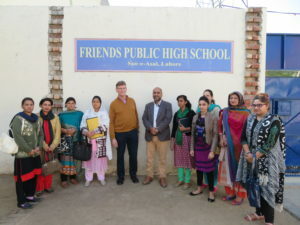 In November 2018, Dr Stephen Curran once again visited schools, both partially and solely funded by AE, in villages just outside Lahore, the capital city of the Pakistani province of Punjab. 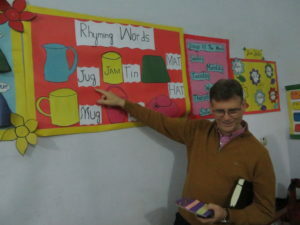 It was overwhelming for Dr Curran to see the amazing development the children have made in their time at school. 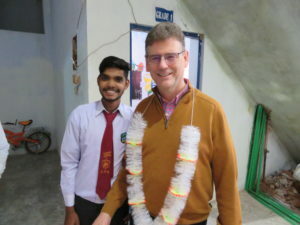 Every time Dr Curran visits the schools he can see where the funding is going and plans further projects to broaden the accessibility of education, such as by building more schools, and to reach more children. 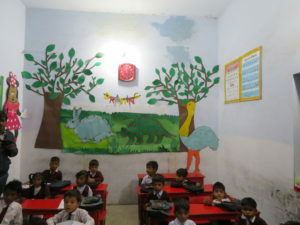 See for yourself where the funding goes by viewing the pictures of the schools below. In total there are 750 pupils across the three schools that we support, ranging from 5 to 16 years old.